The following highlights the Inductees welcomed as members to the Wetaskiwin and County Sports Hall of Fame in March of 2012. For biographical information and details on the sporting achievements of the inductees please click a picture below or the link to the "Full Story". 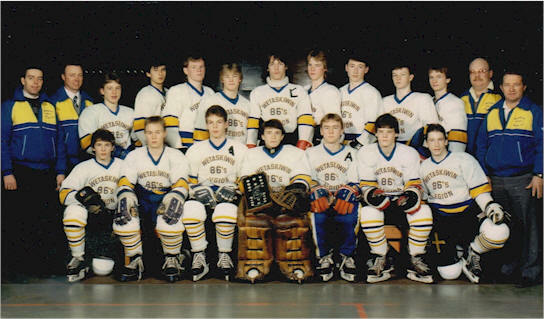 When Murray was in grade ten (1993) he was chosen to play for the Alberta Juvenile Volleyball Team and competed in the Western Canadian Championships. This set the stage for what was to become an outstanding volleyball career. 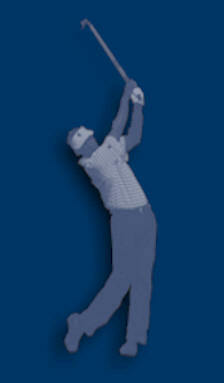 he competed Internationally for Canada for eleven years, and was captain for four of those. He played volleyball professionally in Spain, France and Italy and was assistant volleyball coach for the University of Regina Cougars in his induction year. In Mark’s amazing career, he represented Alberta at twenty-one different National Championships. Mark has bowled more than 25 games of 400 and over and bowled one perfect game of 450. Besides competing in the Open and Master’s bowling competitions, Mark represented Alberta in ten National TV Championships and was named one of the Century of Excellence Top 100 Male Bowlers by the Canadian 5 Pin Bowlers’ Association. During his ten year NHL career he played 336 games, scored 64 goals and accumulated 69 assists. He was the first, and at the time of his induction, the only Wetaskiwin Native to win the Stanley Cup. He distinguished himself as a legend in hockey an key member and active volunteer in the community where he lived and was active in both sports and politics. 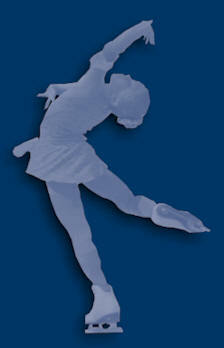 Each year the outstanding Amateur athlete in Kingston, Ontario is awarded the “Gus Marker Award”. One of the most ardent supporters of curling and horseshoes Albert made his mark in the sporting history of Wetaskiwin when his foresight, vigorous and dedicated volunteer hours were instrumental in established a new championship-sized curling rink in Wetaskiwin after fire crippled the former building. 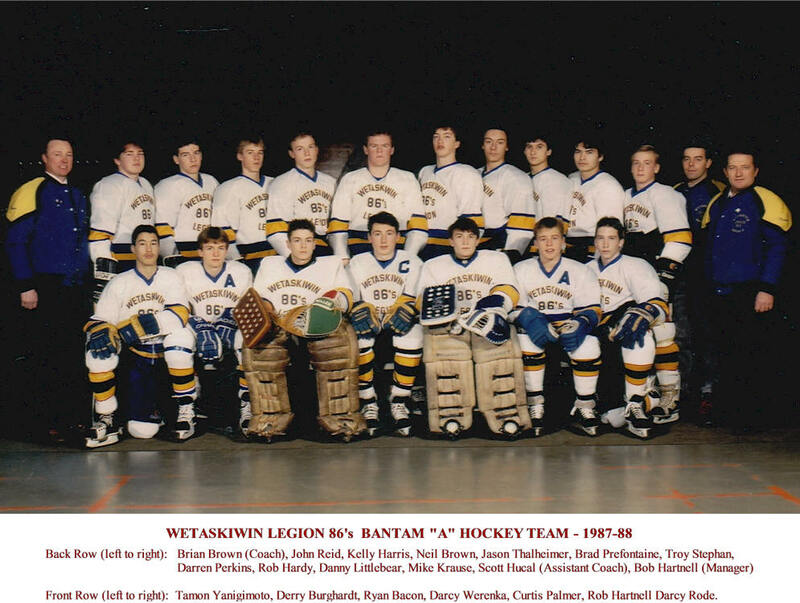 He was also an accomplished competitor in horseshoes and established a stong club in Wetaskiwin. Bert Taylor is being recognized for his contributions and his involvement to the sporting community from two aspects. The first aspect is that of publisher - reporter - photographer with the Wetaskiwin Times from 1968 to 1985. The second aspect is that of a resident and volunteer in the city of Wetaskiwin where he chaired the Can Am Carnival. 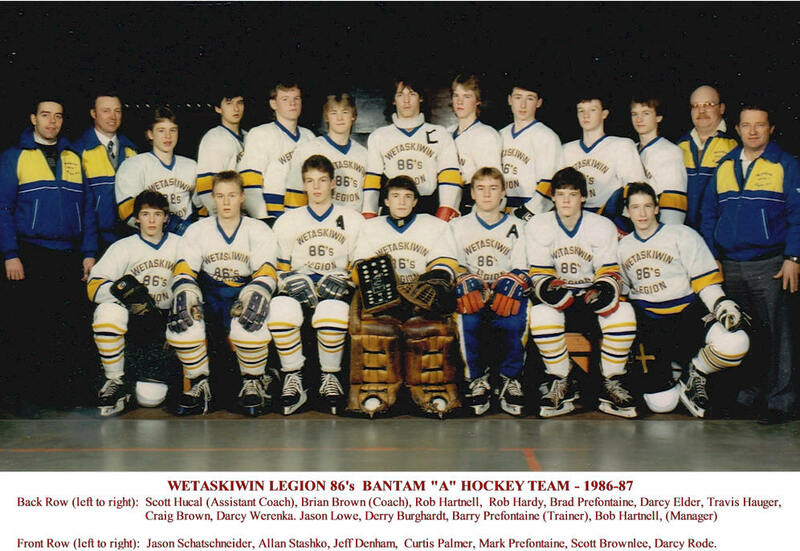 For two hockey seasons (1986-1987 & 1987-1988) a group of talented 14 and 15 year-old young men brought excitement and recognition to Wetaskiwin by capturing the Provincial Bantam A Championships. 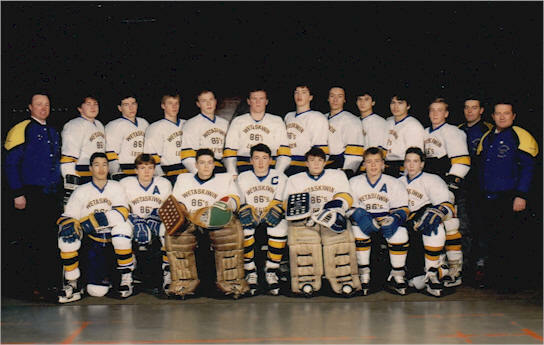 Besides winning the Provincial title, each of these teams were League Champions and won numerous tournaments. If know of a person or team whose achievements should be recognized please consider submitting a nomination to the Wetaskiwin and County Sports Hall of Fame. Read about criteria and the nomination process or get the nomination form by following this link.